Flanders Economy Pre Pleat 40 extended surface pleated filters are designed to operate in most every type of installation. These filters have an average atmospheric dust spot efficiency range of 25-30% per ASHRAE Standard 52.1 test methods. 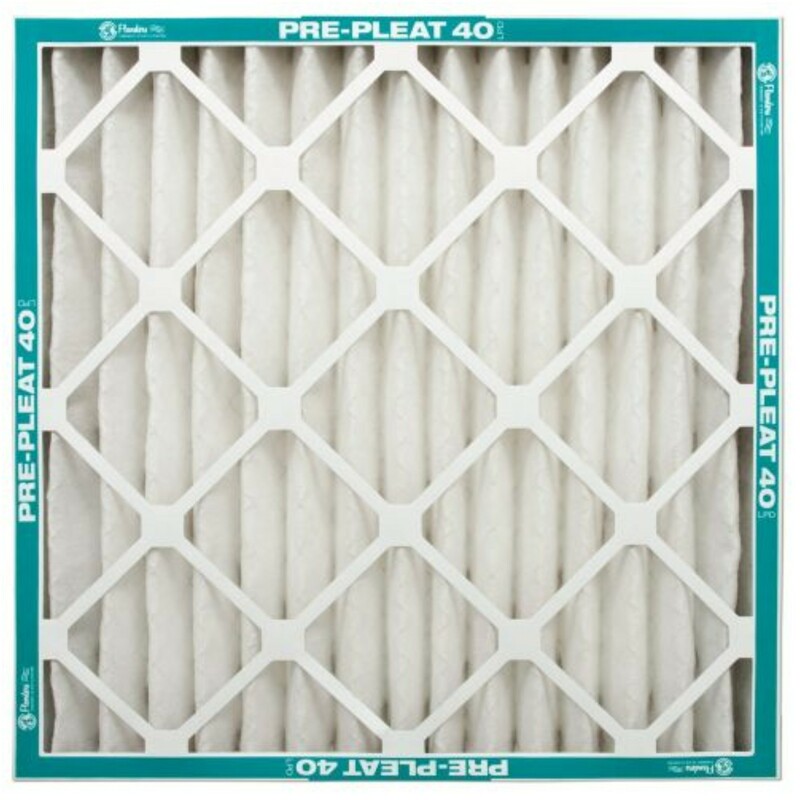 Pre Pleat 40 filters offer greater efficiency and service life than disposable filters, pad and frame systems, or metal washable filters. The overall design of this product makes these filters the accepted choice in applications requiring high performance and extended service. These filters are suitable for variable air volume systems. Operating face velocity ranges are from 0 to 500 fpm for 2 in. filters. The Flanders v-pleat design insures that the greatest media area is exposed to the air flow to promote uniform dust loading. Competitive filters cannot maintain this rigid shape and tend to flatten out, using only a portion of the media. Filter frames are constructed from two pieces of diecut, moisture-resistant carrier board. Components "telescope" into one another and provide double-wall construction and a precision fit. The frame includes diagonal and horizontal support members bonded to the media on the air entering and leaving sides for unsurpassed frame strength. Locking corners and positive media-to-frame seal reduces the possibility of air bypass. The filter media is a high-loft, reinforced, non-woven cotton/synthetic blend. It is continuously laminated to an expanded metal grid on the air leaving side to provide pleat stability throughout the life of the filters and prevent media flutter while in operation.